the rescue of Amanda Berry, Michelle Knight, and Gina DeJesus. There is an interesting history to the name Charles ("free man") + Ramsey. Ramsey has origins in English for "garlic island"; in Scottish, it is from the name Hræm's Island, which is from the Old English elements hræm(n) (raven) and ég, íg (island); from Ram's Island, which is from the Old English ramm (a ram) and ég, íg (island); or from Ramm's Island, which derives its name from the Old Norse elements rammr (strong) and ey (island). Ramesses II was regarded as the greatest, most celebrated, and most powerful pharaoh of the Egyptian Empire. Baron de Ramsey, title in the Peerage of the United Kingdom, was created in 1887. Ramsey, Isle of Man, is the third-largest town on the island. Ramsey Island is located off the coast of the St David's peninsula in Pembrokeshire, Wales. Various towns are named Ramsey, including a village in Fayette County, Illinois. Because Cleveland's Charles Ramsey was eating a Big Mac before his rescue of Amanda Berry, a major corporation has found a name and a hero they like too. The fields of Islington and Marybone.To Primrose Hill and Saint John's Wood.Were builded over with pillars of gold.And there Jerusalem's pillars stood. "~ William Blake, Chapter II, Jerusalem in 1804-1818. Mere chance? Could it be the subconscious pointing to something? Ah yes, Blue - ROSE, this Blake quote feeds into several threads of thoughts that will be revealed today or tomorrow. 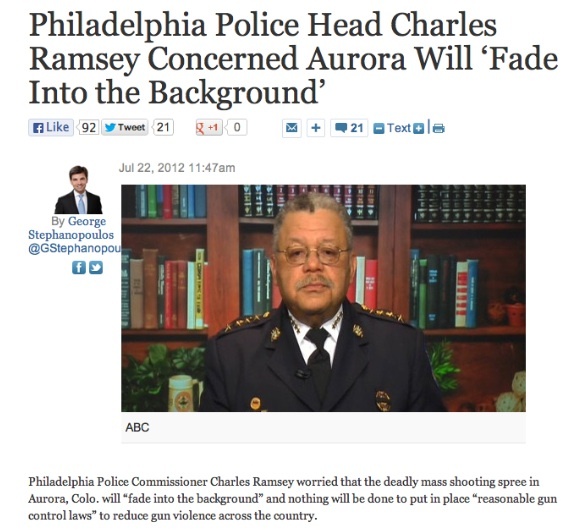 The Charles H. Ramsey noted above as the Commissioner of the Philadelphia Police Department formerly served as the Chief of the Metropolitan Police Department of the District of Columbia from 1998-2006. In 2002 he oversaw the investigation when the remains of Chandra Levy were found, which resulted in the scandal around Rep. Gary Condit [NB: Ingmar Grandique was convicted in 2011 for the murder and sentenced to 60 years]. Commissioner Ramsey is also remembered for his "heavy-handed" response to the dissent surrounding the IMF/World Bank meeting in September, 2002. For those in the DC Metro area, his is a familiar face; seen almost nightly in the viewing area during that era. Yes, Chief Charles Ramsey was involved in the Beltway Sniper man hunt too, for a "white van with white people" in it. With tarot cards, misdirection, and seemingly an underlying pattern to the shootings, that was an event filled with twilight language. Charles as "man" has been long running marker at the Underground Stream. Mc and Ben also. The pattern is "No name maddox" or man-man-son aka Charles Manson. Cleveland's English synchromystic counterpart might be the Duchy of Cleves, of which the most famous resident was Anne of Cleves. Anne had been betrothed to the Duke of Lorraine (syncs with Lorain Avenue) at the age of twelve, which did not work out. She later married Henry VIII (which also did not work out) and became Queen for a very short time. Rearranging the letters in "Charles Ramsey" hints at what we have here: "Real chess army." There's a train station named "saint-Charles" in MARSeille (pronounced as "mar-say"), France. There was controversy about an episode of the cartoon Family Guy possibly predicting the Boston tragedy. Now we have this guy Charles Ramsey in Cleveland. Cleveland Brown is a character from Family Guy and its spin-off series The Cleveland Show.